The Three Forms of Unity Class wraps up on Wednesday, December 1 with a class on Reformed worship. 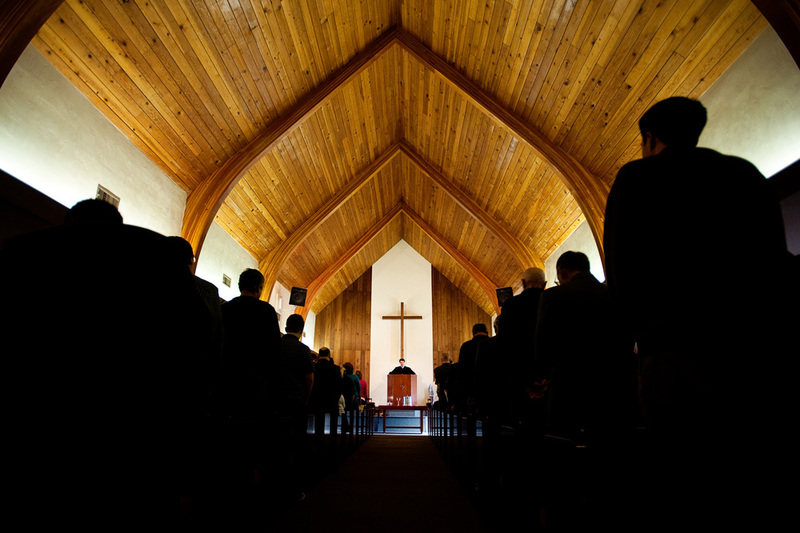 Why do we do what we do in the worship service? Is worship a matter of style and preference? What principles direct us in the worship service? What actually happens every time we gather for worship? These questions and more will be discussed on Wednesday, December 1 at CURC. n.b. There will not be a class on Wednesday, November 24. Since we will have a class on the doctrine of the Lord's Supper next Wednesday night at CURC, I thought I would post a few thoughts on the Reformed view, particularly as it differs from the Lutheran view, the view with which we share the most in common. Keep in mind that four basic views of the Lord's Supper exist in the west, which run as follows: 1. The Roman Catholic view, known as transubstantiation. In sum, Rome teaches that when the Eucharist (Lord's Supper) is given, the substance (i.e. what a thing is in its essence) of the bread and wine transform into the physical body and blood of Christ. The appearance or "accidents" (i.e. how the essence of something appears to our senses) remains like bread and wine. So, even though it looks, smells, and tastes like bread and wine, it is, according to Rome, in its essence the physical body and blood of Christ, miraculously transformed. 2. The Lutheran view, known as consubstantiation. In brief, this view holds that the substance of the bread and wine are not transformed into the physical body and blood of Christ, but that the body and blood are in some way with (con) the bread and wine. Thus, the body and blood of Christ are truly received in the Lord's Supper making it a means of grace for the Christian's sanctification. Luther argued for this position in his writings and at the Colloquy of Marburg in 1529 on the basis that Christ said at the institution of the Supper, "This is my body." 3. The Zwinglian view, sometimes called the "memorial" view. Essentially, this view holds that the Lord's Supper is a remembrance of Christ's death on the cross but not a means of grace in which the body and blood of our Savior is received. This was the view espoused by Swiss reformer Ulrich Zwingli on the basis that Christ's physical body and blood ascended into heaven. Zwingli met with Luther at the Colloquy of Marburg in an effort to unite the Swiss and German wings of the Reformation. While Luther and Zwingli were able to come to agreement on a number of important doctrines, the issue of the Lord's Supper went unresolved. This view is unquestionably the de facto view in American evangelicalism today. First, it is important for Reformed Christians to affirm that we actually receive Christ in the Lord's Supper. This is not a figurative reception, but a real reception. Too often, Reformed people say they believe the Reformed confessions and catechisms, but on this point are actually closet-Zwinglians. The Belgic Confession and Heidelberg Catechism read Jesus' words in John 6 in light of Paul's words in 1 Corinthians 10.16, that is, the Lord's Supper is a koinania, a real participation and sharing in the body and blood of Christ. It is not a mere object lesson or heightened remembrance about a gift; rather, it is a gift, namely, the gift of Christ's body and blood. The debate between Lutherans and Calvinists has never been about what is received in the Lord's Supper (i.e. the divinity and humanity of Christ), but rather about how and where it is received. Second, in worship we are ushered in to the heavenlies (Heb 12.22-24) by the Holy Spirit. This is not a spatial transportation of our disembodied souls into heaven, but a breaking in of the age to come upon this present age by the Holy Spirit who indwells and maintains our union with Christ in heaven. It is a semi-realized participation of the age to come, where we commune/participate in the body and blood of Christ to whom we are mystically united. This answers the how and where as well as it can be answered from the limited revelation God has given us. We feast on Christ by the Person of the Holy Spirit, which is what we mean we say "spiritual eating" (Belgic Confession 35: "We err not when we say that what is eaten and drunk by us is the proper and natural body and proper blood of Christ. But the manner of our partaking of the same is not by the mouth, but by the Spirit through faith." and HC 79: "We are really partakers of his true body and blood by the working of the Holy Spirit.") How exactly does this happen? With Calvin, we say, "It's a mystery. We cannot explain it, but we believe it." We are not rationalists when it comes to God's Word and do not attempt to go beyond what God has revealed. Third, the Reformed see the Lutheran and Roman Catholic positions on the Lord's Supper as representing over-realized eschatologies, and the Zwinglian position an under-realized eschatology. We want to maintain the tension of the already/not yet, and do justice to Christ's real, physical, visible Parousia which will happen on the Last Day. The Lutheran and Roman Catholic positions do not seem to take seriously the economy of grace: Christ's descent, ascent, and glorious return. Christ does not come down physically to earth every Lord's Day. His physical and visible return is our blessed hope and he will return in like manner as he ascended, just as the angels said in Acts 1. Fourth, the Lutheran position on the Lord's Supper sounds to our ears terribly non-Trinitarian (please note, I am not saying "anti-Trinitarian"). Whereas Calvinists apply to the Lord's Supper Christ's words in John 14 about his physical absence after his ascension and his sending of the Holy Spirit for his church's benefit during this semi-eschatological age, Lutherans don't seem to affirm much about the Paraklete's role in the Supper. The Calvinist position has the advantage of affirming Christ's presence in the Supper (how is it any less present if we partake of it in heaven rather than on earth?) while also affirming the necessity and advantage (Christ himself said it would be to our advantage if he went away) of the Holy Spirit in the Supper. The Spirit is not a substitute for Christ in the Supper, but the agent who unites us to Christ and communicates Christ's benefits to us. Fifth, it is worth pointing out that, to Lutherans, Calvinists will always sound like Nestorians, and to Calvinists, Lutherans will always sound like Eutychians. That is to say, Lutherans see us as being guilty of separating the divine and human nature of Christ (i.e. Nestorianism), and Calvinists see Lutherans as being guilty of confusing the two natures of Christ (Eutychianism). Our understanding of the communicatio idiomatum - the communication of Christ's attributes from one nature to the other - is different. Calvinists affirm the real humanity of Christ, the bounds of which his divinity exceeds. Christ's divinity does not swallow up his humanity, nor are the two so collapsed together after the resurrection that he is now some sort of ubiquitous "monstrous phantasm," as Calvin put it. Rather, he is still the God-man. And we wait for that God-man to appear in his flesh on the Last Day. If only Calvin had been at the Colloquy of Marburg. For those interested in listening to a debate on this issue between a Reformed pastor (me) and a Lutheran pastor (Rev. John Kent, pastor of Reformation Lutheran Church in El Cajon, CA), go here.